Easy Queue has been providing public guidance and crowd-control solutions to commercial customers throughout North America for over 30 years. It provides components and systems to manage virtually any pedestrian control challenge – from simple gate or portable belt-top post systems to more intricate custom railing and corral configurations. EasyQueue has a full Canadian and U.S. sales and service program and currently provides its products to some of the largest transportation facilities including VIA Rail and Lester B Pearson airport. 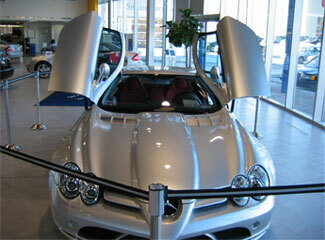 Easy Queue has an extensive Canadian made product line, with most products available in a wide variety of finishes. Easy Queue portable posts are compatible with other major U.S. Brands so adding, repairing or outright replacement of some or all is not an issue. The company manufactures many of its own fittings and components for queuing systems which keeps costs low and quality high. Most products are in stock for immediate delivery. Easy Queue has rental portable belt top posts available for short term users, trade shows etc. 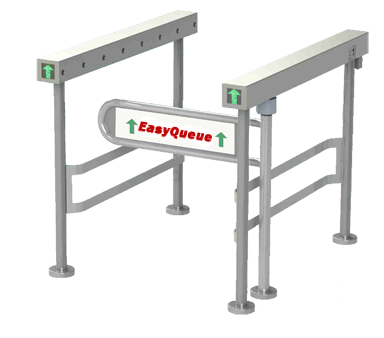 Easy Queue focuses on simple and easy public guidance control in areas of high traffic or line up conditions. Markets are typically entertainment, malls, retail stores, theaters, cafeterias, and hospitality-fast food markets.